Beverage manufacturers across the USA trust the experts at Tropical Bottling to expertly bottle and copack their ready-to-drink (RTD) beverage products, because we are one of the few co packing companies that can provide comprehensive services, including top-quality export services, trial programs, and more. Co-Packing – Beverage manufacturers know that we are a versatile copacker that offers a wide range of can sizes (7.4 oz. – 16 oz.) to better meet their needs. We regularly copack teas, carbonated soft drinks, sparkling juices, flavored coffees, Kombucha teas, nectars, flavored waters, and more. Capabilities – Our capabilities are nearly endless. 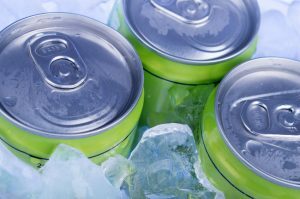 We provide beverage makers with cold fill processes, hot and cold fill pasteurization, multiple mixing technologies, reverse osmosis water treatment, HTST canning, custom palletizing, in-house or 3rd party labeling, and more. Exporting – Unlike other copackers, we can assist brands with superior export services that can help their companies save money by eliminating double handling charges. We offer make-to-ship options and provide both warehousing and loading services to better serve national and international brands. Certifications – Tropical Bottling holds numerous certifications, including certifications from the Florida Department of Agriculture and HACCP. We are also an SQF Level II Certified facility, which means that the products we produce in our facility meet even the strictest quality control standards. Trial Programs – Better still, are our one-of-a-kind trial programs that allow new and seasoned beverage manufacturers alike to test new flavors and RTD products in the marketplace. We can make our plant available for a daily rate plus ingredient costs, so you can test new formulations before going into large scale production. Tropical Bottling is proud to serve beverage manufacturers in Florida, Georgia, Texas, Oklahoma, Arkansas, and the neighboring states, and we look forward to providing your beverage brand with the resources you need to get your RTD products to market. Contact us today if you are looking for co packing companies with the capabilities and experience you need to meet your supply demands.